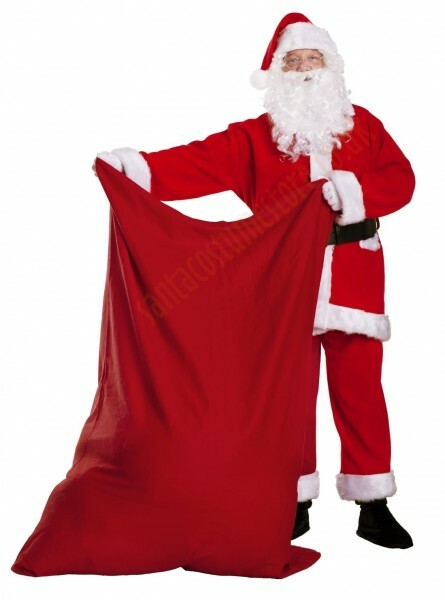 A red Santa sack is an absolute must for every Father Christmas! Even the best preparations for talking with children, a tip-top Santa outfit, or a beautifully combed beard won’t evoke such enthusiasm as what’s inside a bulging sack! And the sack really can hold plenty of presents, because it really is enormous (43.5" x 55"/1.1 x 1.4 m). The sack is made of very strong and thick denim canvas. 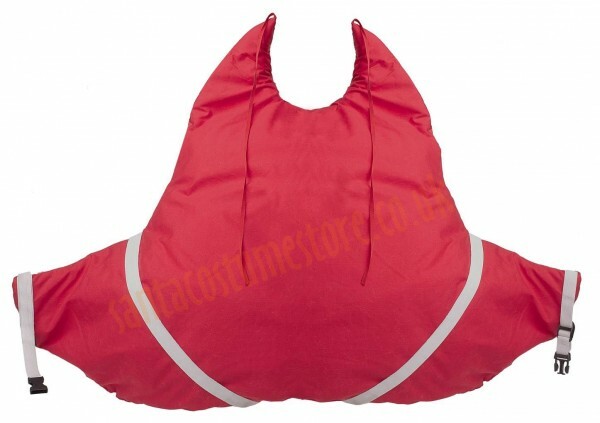 You can even carry heavy parcels in it, as the double-stitched seam guarantees that the sack will withstand a very heavy load. Santa’s sack comes fitted with a drawstring, so that Santa won’t lose any of the presents – even the smallest. Are you worried about Father Christmas getting his sack dirty? Well, there’s no need, since this sack is double-sided; so if it does get dirty, just turn it inside out and there you have it – a clean sack for emergency use. Did Santa Claus read my letter? Has he brought the present I dreamed of? Such are the questions running through children’s minds when waiting for Father Christmas’s visit, and when imagining what’s inside his big, red sack…. And you really can hold a huge amount of presents in this sack! NB: this product does not include items shown in the photo other than the Santa sack.